What is a 301 redirection, and when should you use one? 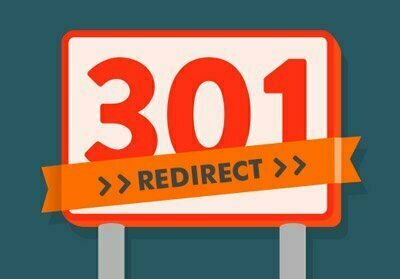 Just like when you change your home address to a new one and want your post to land at the new address, a 301 redirect is a permanent transmit from one web address to another. The stark difference between the two is that the former one involves technology and dark stuff only techies know while the latter is implemented by traditional means. Armed with web hosting expertise and experience, Pulse Solutions offers its service in the area of 301 redirects to customers across international borders as part of its online marketing solutions. The company uses its powerful web designing skills and Search Engine optimization expertise to increase customer sales for its clients. A 301 redirect is used to point an old web address to the new one. Net users visiting the old address or clicking on a link to the old URL would be automatically driven to the new address. Why have a 301 redirect? When you want to change your URL address to a new one and direct traffic accordingly. When you want to direct traffic to a single website address and avoid Google penalizing you for thinking you have two addresses when people mistakenly type in your URL e.g. http://greatwebsite.co.uk” instead of http://www.greatwebsite.co.uk. The confusion over two addresses will lower your search engine rankings with links on each address counted independently as two separate addresses. When you update your website from an older content management system to a new one. Without a 301 redirect, anyone clicking on an old link in Google’s search results won’t be able to find your new website. This is because Google would have indexed your old page. A 301 redirect will also alert Google to update its search results to your new web address when it attempts to index your old page. A 301 redirect also takes care of any inbound links coming from other websites and ensures users gets on the right page. Don’t let your Search Engine Optimization Campaign suffer! A 301 redirect benefits both users and search engines. Serving a 301 is an indicator to browsers and search engines that the page has moved permanently. Search engines translate this shift as an indicator of progress: the page has not only changed location but now has contemporary content on the new URL as well. The search engine will transmit all links from the original page onto the new URL. It will take some time for the search engine to discover the 301, recognize it and acclaim the new page with rankings and the faith reposed in the earlier page. This delay is further augmented if the page isn’t familiar with search engine spiders or if the URL doesn’t correctly resolved. Meta refreshers and 302s can also be used for redirection but fail to meet the standards of a 301 redirect as they won’t pass the rankings and search engine value like a 301 redirect will. However, they can be used as an alternative if a webmaster decidedly keeps from passing link juice from the old page to the new. When an entire site changes its domain or when content is transferred from one domain to another, then moving content takes on a complex complexion. A lot of time would be involved in the redirection as the transfer would need to be properly spidered and counted on account of spammer abuse and search engine suspicion at the new move.